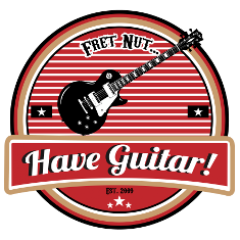 friedman Archives - Fret nut... Have Guitar! Time for the third part of the BE-2017 Baked Chicken Experiment from Live Ready Sound. This video covers update 18 – 27, that contains no less than 125 Kemper profiles! The Baked Chicken Experiment is a profile pack that will develop over time by user feedback – interesting concept right there! OK, so obviously I have fallen back on the free profile packs from Profilecrate (provided by ToneJunkie) and now I’m trying to catch up! The Fried Taco 20 pack is actually the free Kemper profile pack of July 2018 and should be buyable from profilecrate.com for around $10… (as I’m writing it’s not listed there). So first of all for you who don’t know about Profilecrate; it’s a service from ToneJunkie – you just sign up with your email adress and every month they release a Kemper profile pack that you can download for free, provided you download it before the month ends. That’s it and to me it’s a no-brainer to sign up for such a good deal! The Fried Taco 20 pack recreates the tone of a Friedman Pink Taco. This amp is “the baby sister” of the BE-100, according to Friedmans description of this amplifier. A hand-wired 20 watt and EL84 powered amp that can do anything from blues to heavy metal. These profiles proves the versatility of the amp with a rich tone and quite wide sound spectrum. If you like the video, do subscribe to Have Guitar to support – it’s free for you but gives me the support I need! To all of you allready subscribing – Thanks!!! This is the first video of the Baked Chicken (gotta love that name!) and there will be two more. Check out Live Ready Sound’s webpage (link below) for more details, as this profile pack has a ton of different cabs and mic’s used. The amplifier behind this is the famous Friedman BE-100, which is a very capable amp for all kinds of sounds. Very impressive amplifier and so is this profile pack!